In my years for my love of Italia, I have had the pleasure and privilege of creating connections deep in the heart of Tuscany. 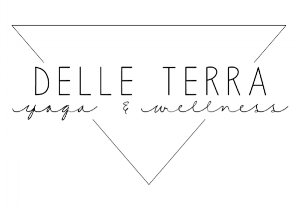 This experience of Yoga + slow food has been curated to give you a week glimpse of what it is like to live in the Italian countryside combined with the practice of yoga. The time is now. if you have wished, desired, thought "well maybe one day" permit yourself to experience the magic of the tuscan countryside. we live in a world that is incredibly fast paced, driven by results, no time for rest or to unplug. it PLAGUES our western world, creates less time for family, your passions, and ultimately yourself. our love for italy runs deep because they belive in family, down time, feeding passion, slow-food, and self-care. You will have the chance to unplug, nourish and take of your mind + body + soul in this 7 day yoga + slow Food retreat in tuscany. the freshness makes your taste buds sing and the people warm your heart with a welcoming smile. You will taste the freshest olive oil, burrata, parmesan, wine, pasta and pizza that is made by our in- house private chef. Every meal will be shared family style around a dinner table with no cell phones. Only laughter, bottles of wine, friendship and fresh, local, organic food. remove the distractions so you can connect, fully and authentically. The villas of famiglia buccelletti overlook a valley where you can see for miles and miles. we will partake in a daily vinyasa practice usually in the morning, after a light and healthy breakfast over looking the valley or in the olive mill. We understand the importance of creating balance while still enjoying life. so while we will feed you burrata we will work up a sweat and clear the mind in our vinyasa practice. our motto is everything in moderation including moderation. The time spent during your yoga practice will be dedicated to rediscovering yourself while you are in a stress-free environment. This time is priceless and can be used to set intentions for the future, remove the extra clutter and create space for the people and things that matter most in your life. 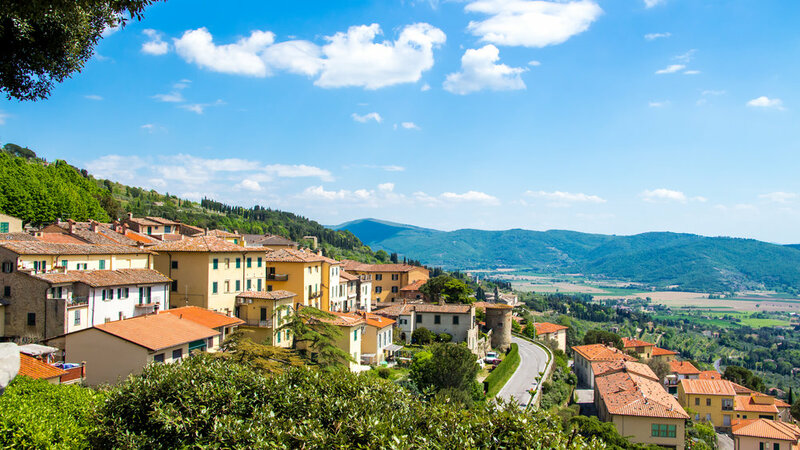 Cortona is an incredibly beautiful medieval tuscan town that is rich with history and sweeping views of tuscany. we will spend the day there, take a guided tour, eat "ciaccia", and shop at some of the local pottery and jewelry stores. Siena is another town within close proximity to Castiglion Fiorentino. This is the city where they host the Palio Horse Race, have beautiful marble cathedrals and art. We will spend the day exploring in Siena and then head home to a home cooked meal al-fresco. Tuscan style pizza is cooked in a brick oven. We will use the freshest ingredients, make the pizza from scratch and enjoy some wine while we cook. Then Enjoy our meal together. If you can imagine yourself in Tuscany practicing yoga, eating slow-food, enjoying friends and laughter. This retreat is for you. We hope that you join us in Italy while making the choice to slow down, enjoy life, create balance, fuel your passion and learn to just be. Casali in Val di Chio by the Famiglia Buccelletti consists of three different units broken up into two different structures. The small hamlet of Santo Stefano was once a farm village built around 1850, located in a scenic location on the hillside offering views to the entire valley. 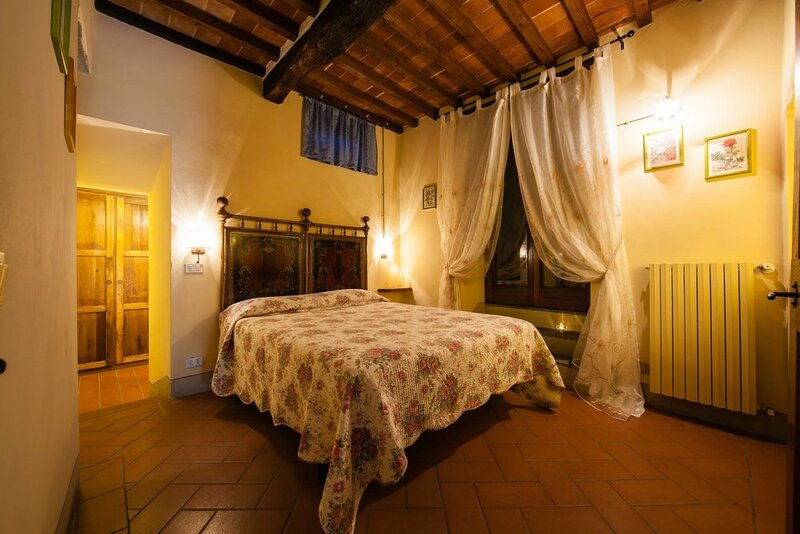 The property is located 7 km from the village of Castiglion Fiorentino (Arezzo). The two structures used to be an old farmhouse and old barn. The renovation of this property was completed in 1998 and transformed the abandoned property into three different villa accommodations. The property is surrounded by a beautifully designed garden that allows the individual units to enjoy private spaces and freely use the large swimming pool which is located at the center of the property. In the garden there is a large stone barbecue available for guests. The garage provides parking space for three vehicles. Immersed in the Tuscan countryside, the entire village can accommodate 12 to 16 people. All apartments are equipped with TV, a laundry area, dishwasher, refrigerator, oven, hairdryer, telephone, Wi-Fi and heating. To provide more flexibility for your schedule we have organized a 5 night retreat or a 7 night retreat. See prices below. Click through HERE to visit Casali in Val di Chio's website for more beautiful pictures and descriptions of the lovely space our retreat will be held. 1. Fill out Registration Form First, then secure your spot by deposit. Celebrate your decision to invest in yourself and a life changing adventure! There will be the option to add on a winery experience and a cooking class. If the weather permits we can also participate in either a grape or olive harvest.